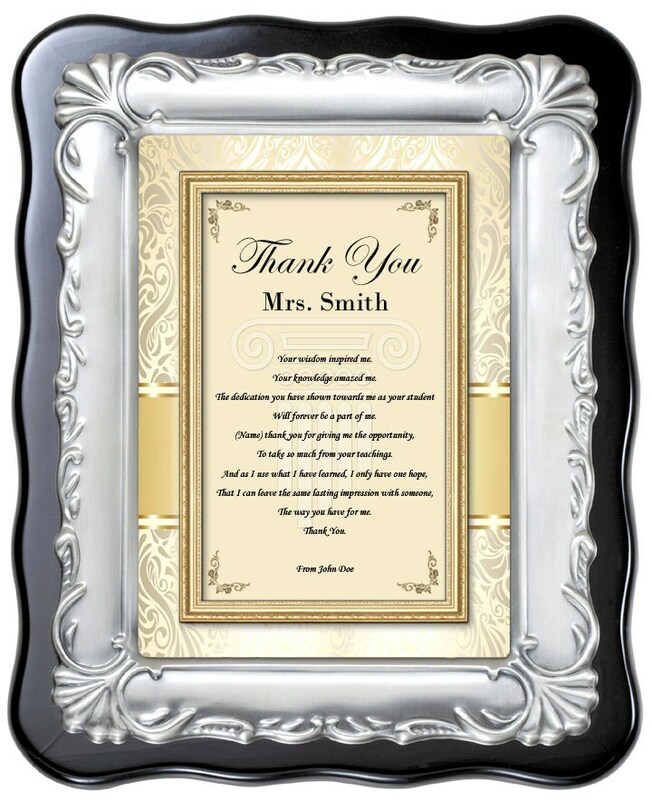 Our elegant poetry thank you teacher plaques make every touch point count with personalized memorable poems. Focusing on delighting educators and mentors, our gifts and presents unlocks the best loving opportunity to show thoughtful appreciation to your teacher. 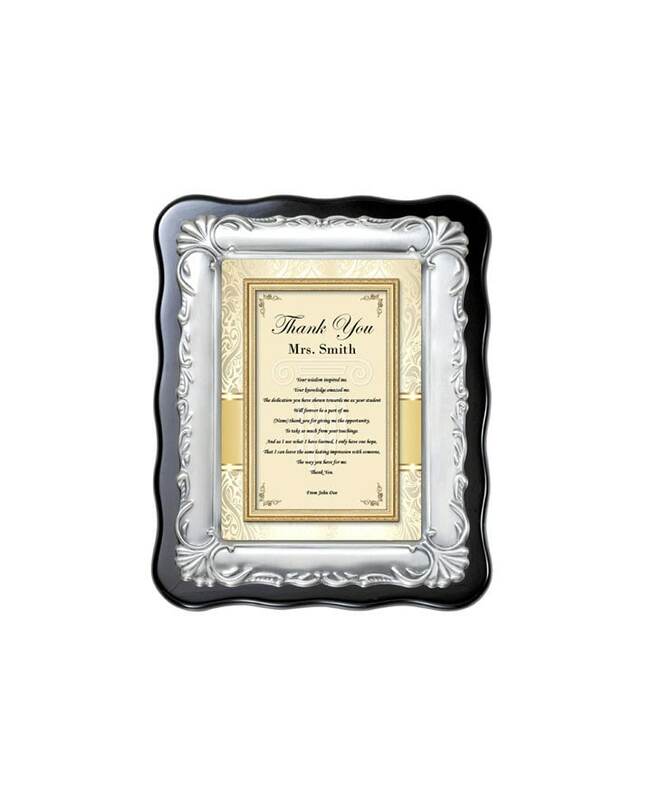 This wood plaque is displayed with a touching appreciation poem with a brush silver dimensional metal designer border plaque display. 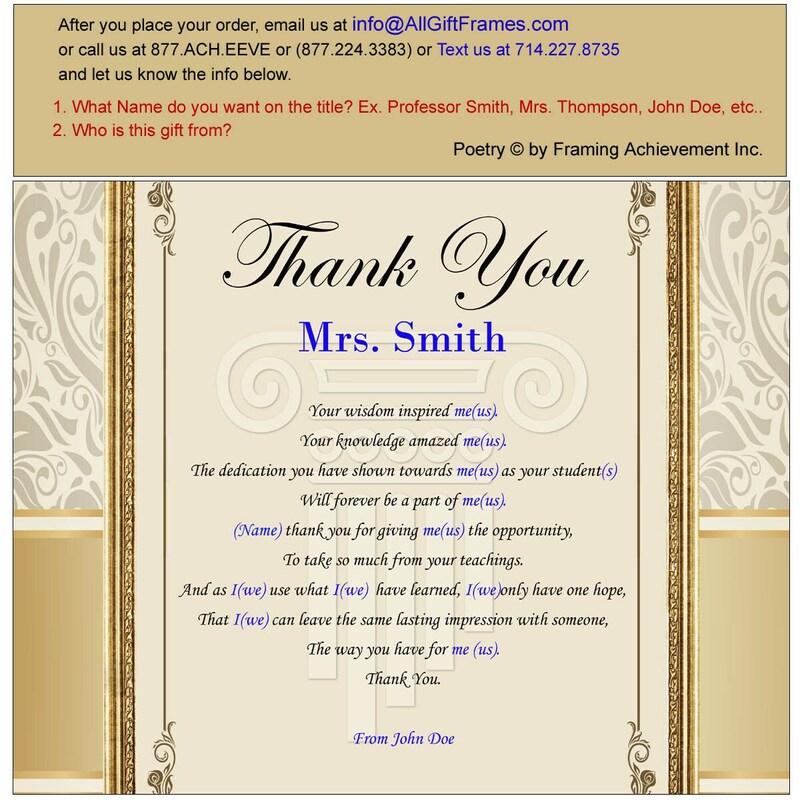 Our elegant poetry mentor appreciation gift plaques make every touch point count with personalized memorable poems. Focusing on delighting professors and teachers, our personalized gifts unlocks the best loving opportunity to show thoughtful appreciation to the one who helped you exceed in education. 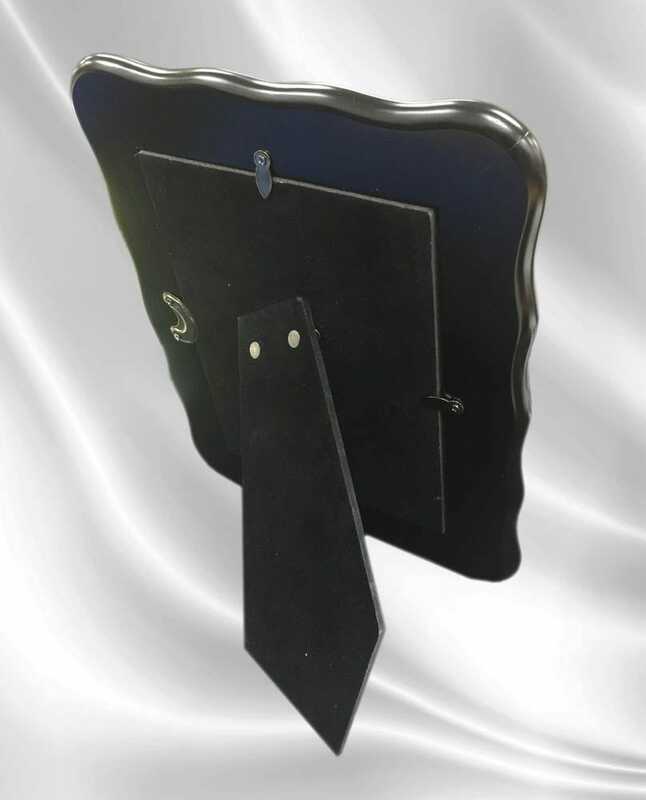 This shiny black plaque is displayed with a touching congratulation poem and a silver dimensional metal designer border plaque display.